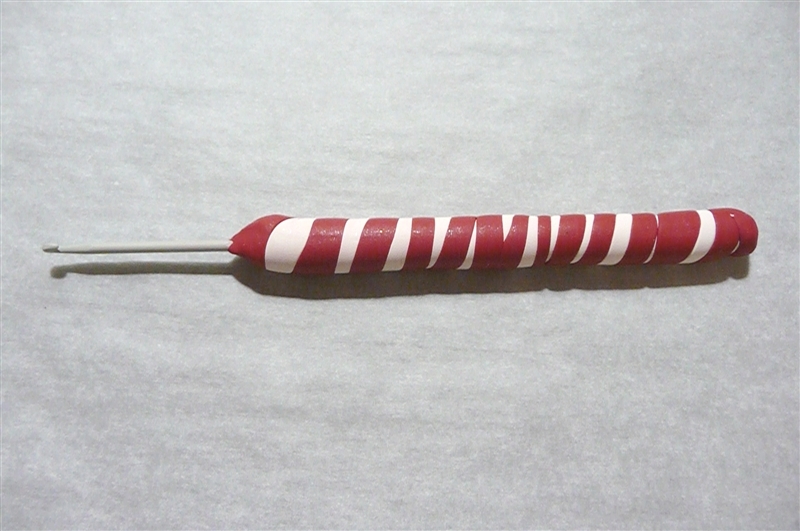 This year I brought a crochet hook off the internet that was made with polymer clay. 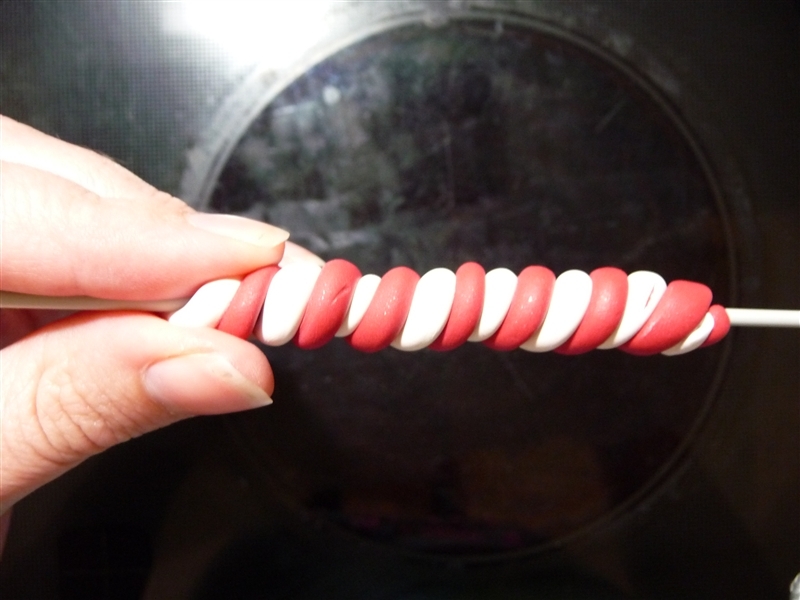 Since I am a curious crafter I wanted to see if I could make one of my own. 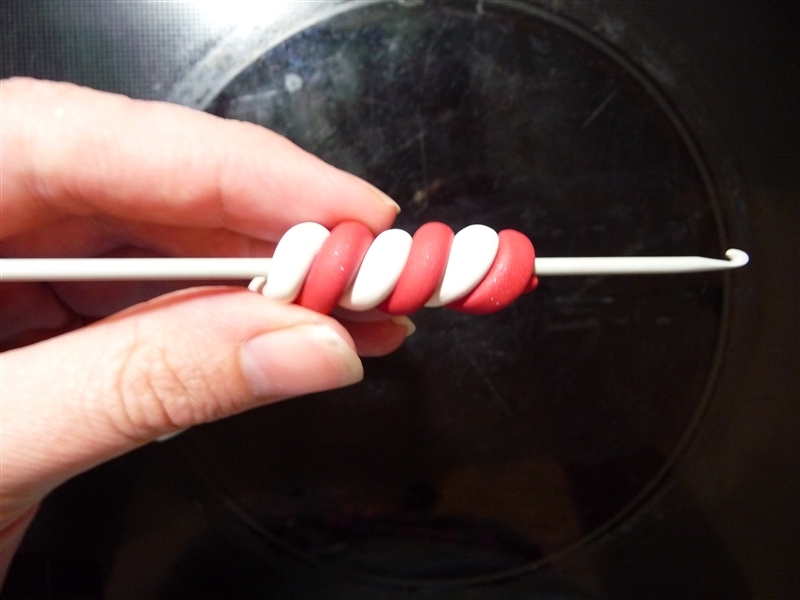 My attempt is no where near the wonderful perfect hooks made by Polymer Clay Creations. When I purchased my colorful hooks of esty they were a custom made order to my specification about size and color. Somehow I over looked the fact that these hooks are Bates, made from steel. 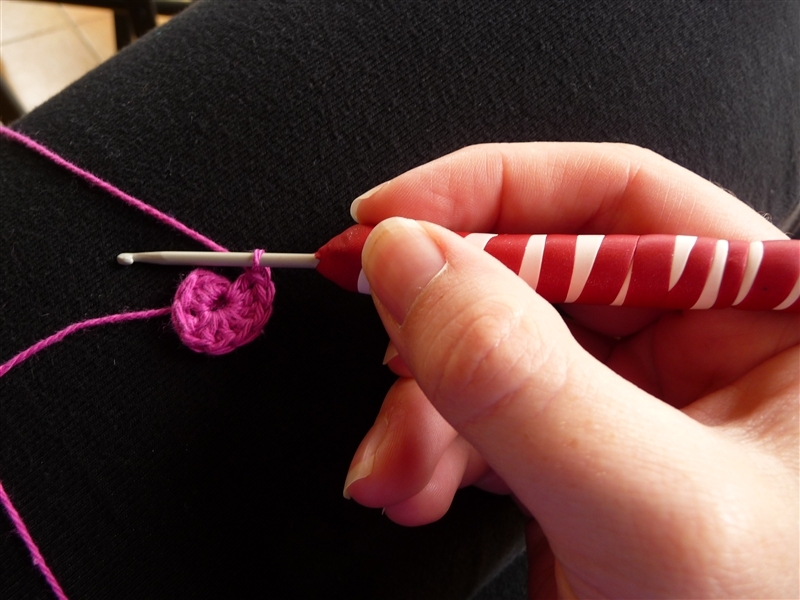 I had never used the Bates type hooks and they do crochet differently. I prefer to use Boye hooks which only come in hard grey plastic. 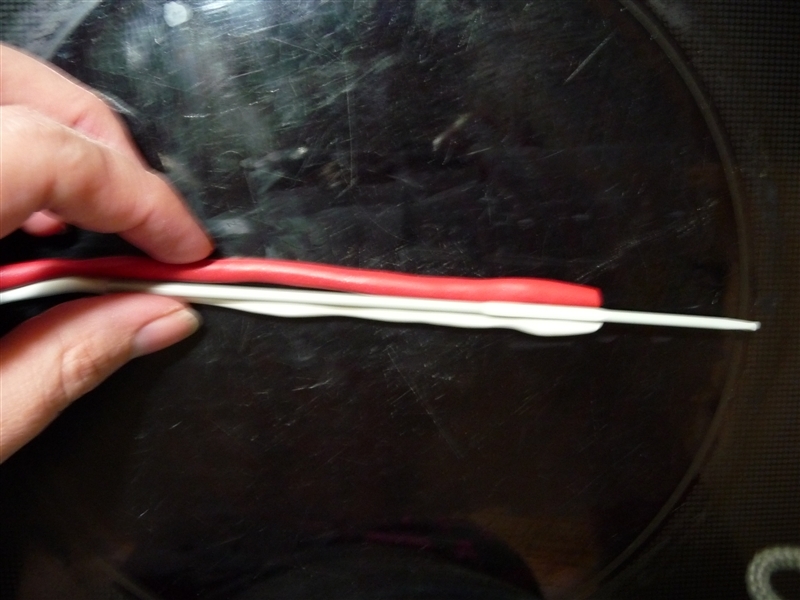 The question is could I create a polymer clay cover for a Boye Hook without warping the plastic hook? The answer is, yes you can. 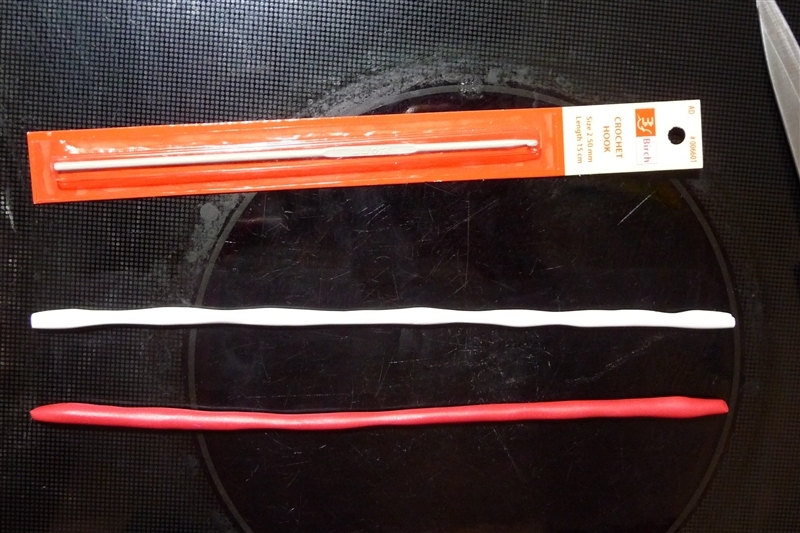 From my local Spotlight I brought a smallish hook and polymer clay for around $10. 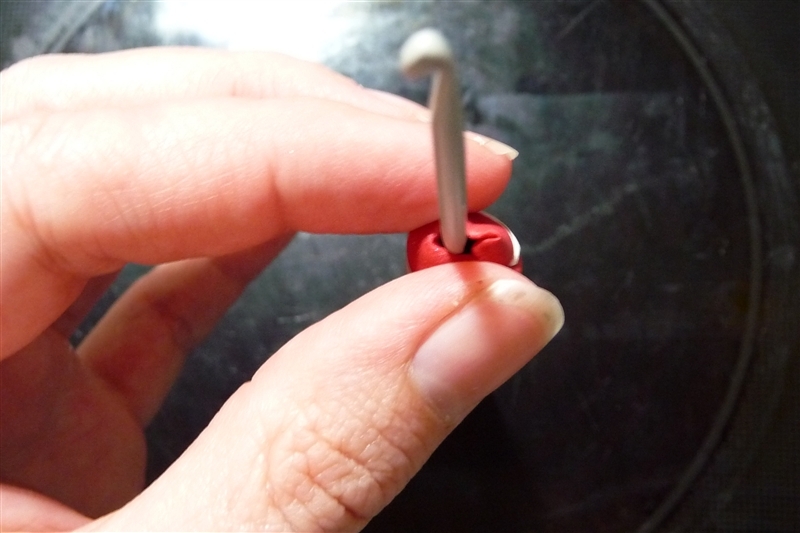 I decided to try my first attempt with a thin hook, size 3mm because of the size I thought it would melt for sure. 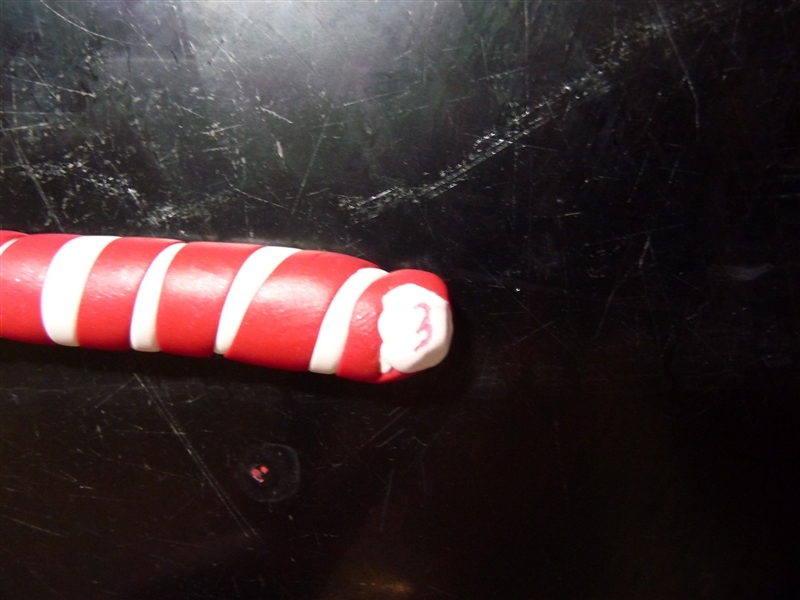 Since it is xmas I wanted to creat a red and white stripped. I cut off a small section from each clay block. Rolled both out to thin strips. Wasn’t sure how to start the twist. 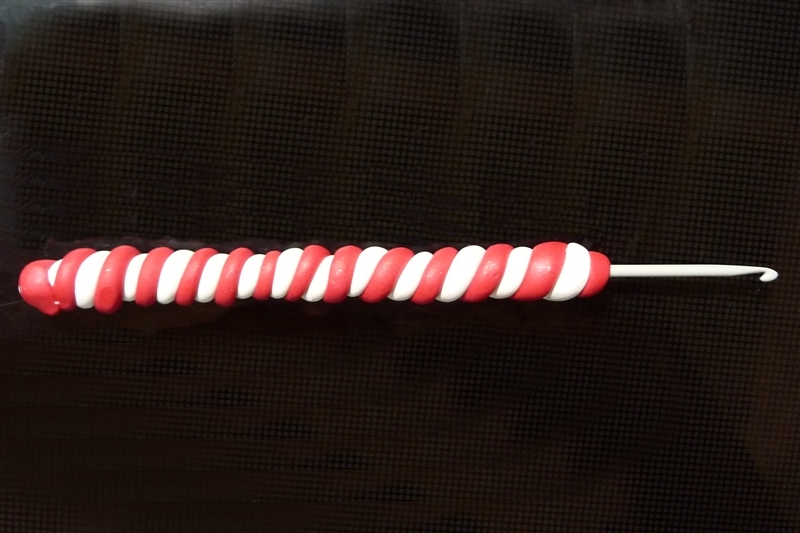 Twisting right to the end. 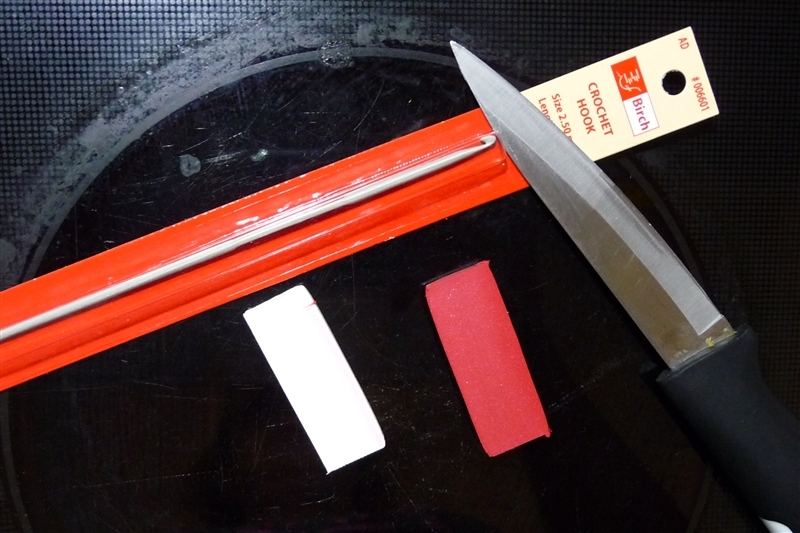 Cut off the tiny end. 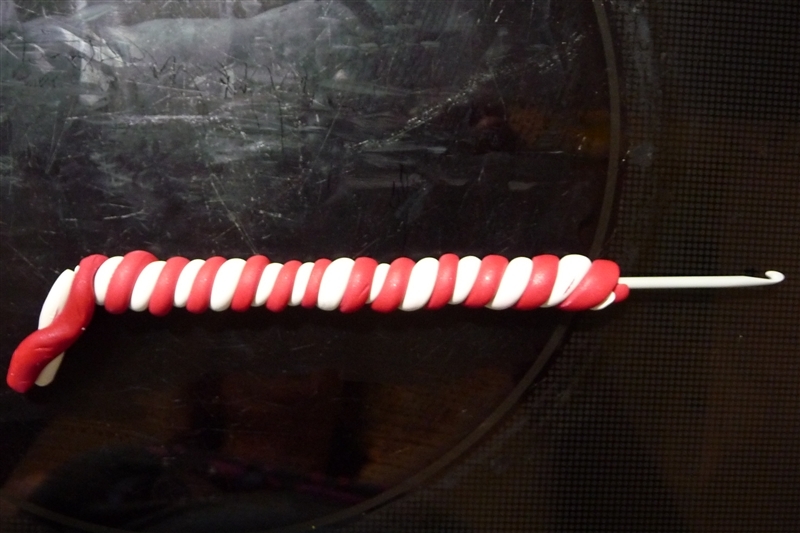 Now it looks like a candy cane. Rolled it a little more to smooth it out. Wrote the size of the hook on the end. Baked in an oven for 10 minutes at 130 degrees. I love my new hook, it works really well. 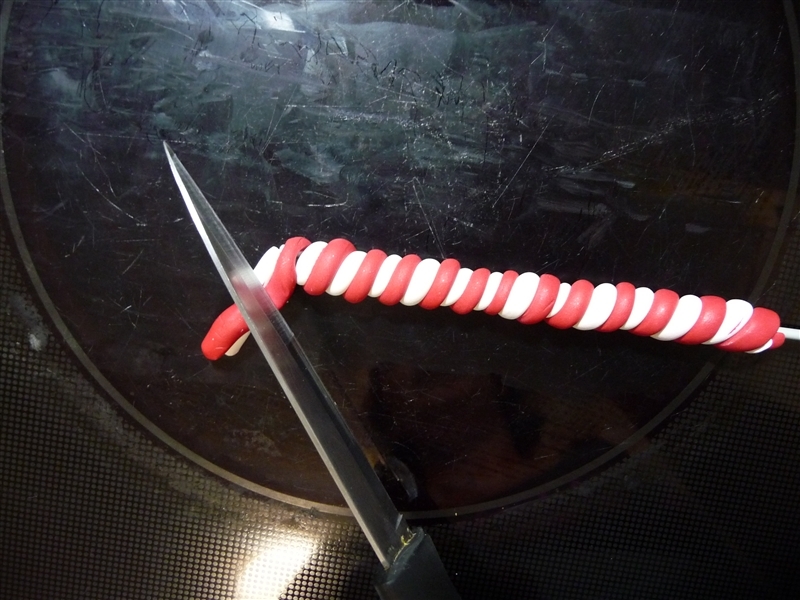 The swirls are not completely smooth which only makes the grip better. 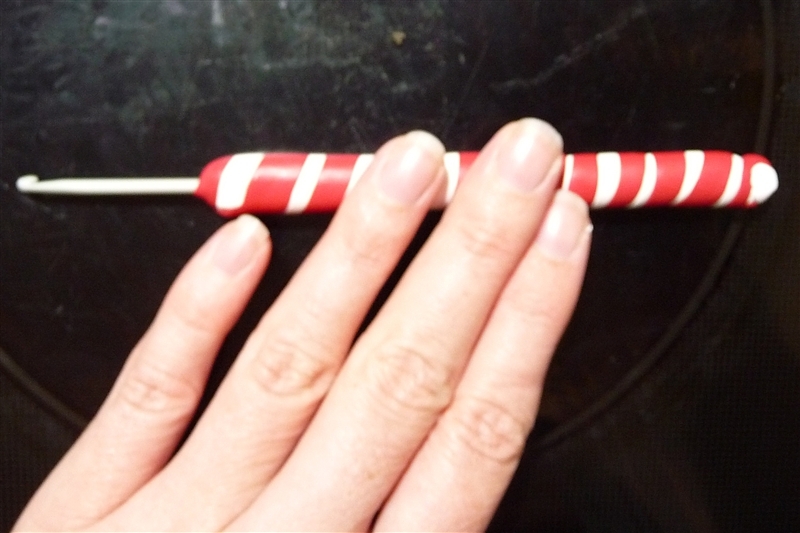 Right where I hold the hook between my fingers I pinched it to match my fore finger and thumb grip and now it is perfect for me. Can’t wait until the weekend and I will make a few more. 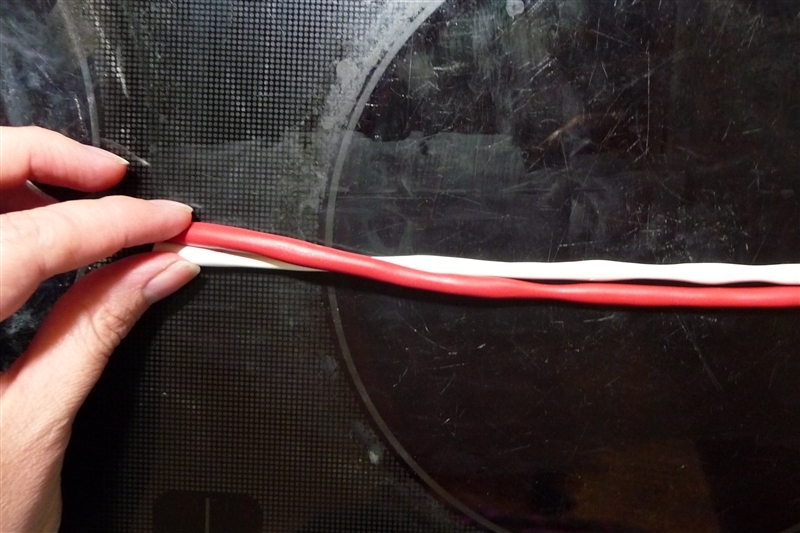 The plastic hook was fine and not warped. Great idea! I think I need to do this for myself! 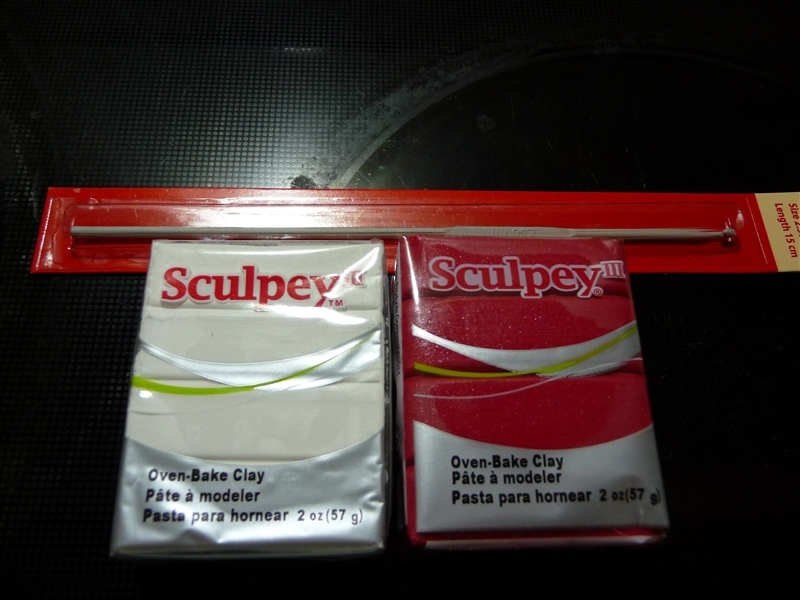 That's a great idea, if i can get the clay here going to try it out this week end.